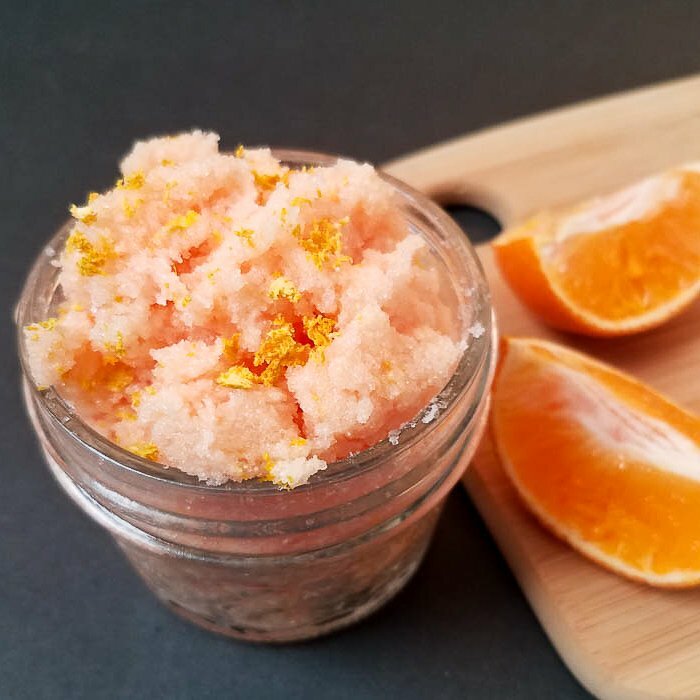 I thought I would share a simple orange sugar scrub today that is perfect for giving as a gift or using yourself. 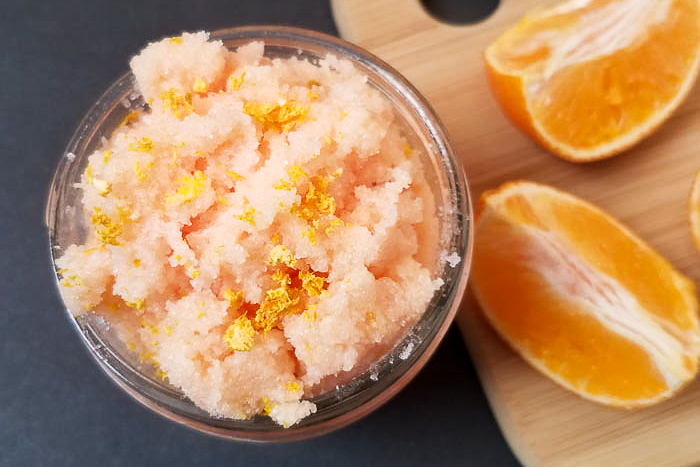 This orange peel sugar scrub is a great way to refresh your skin. Especially those rough patches on your hands or feet! 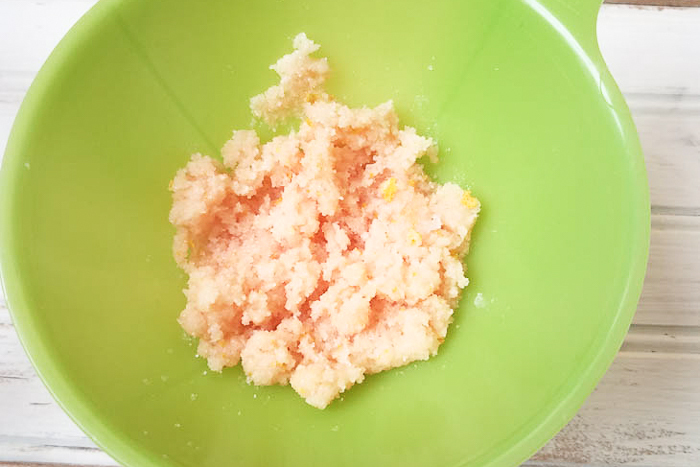 So, mix up this orange zest sugar scrub recipe today. Add sugar and coconut oil to a bowl then stir well. I use the coconut oil at room temperature but you can melt it as well. 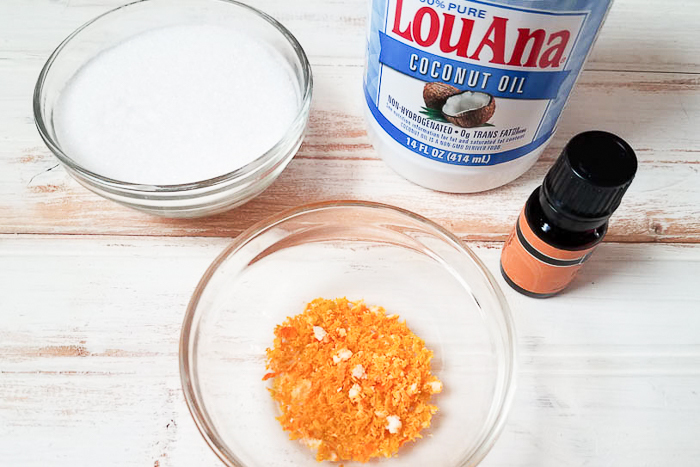 Add essential oil, food coloring, and orange zest. The coloring is completely optional. There are also colorings made just for bath and body products that you can try. Stir and combine all your ingredients completely. Using a canning funnel, pour into 4-ounce mason jars. Then you can wrap these up for gifts or use them for yourself. 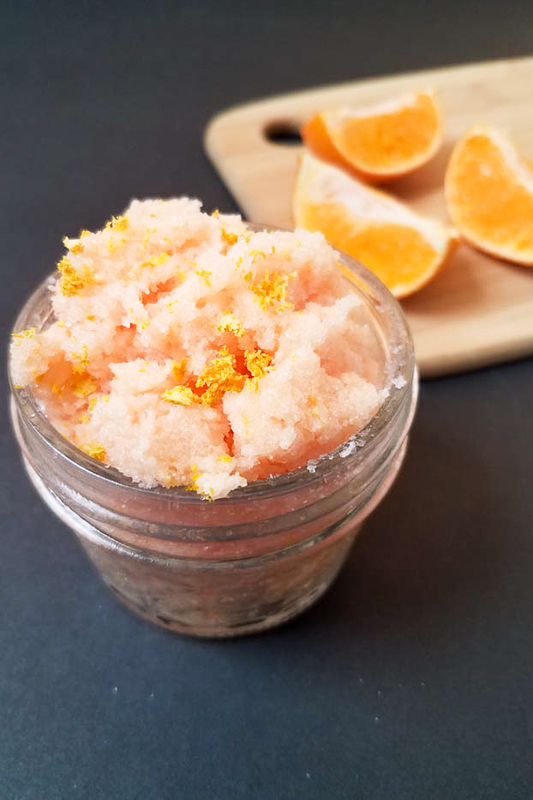 Apply this orange sugar scrub on rough patches of skin, especially on your feet or hands. Use caution if you have wounds, sensitive skin or skin conditions. 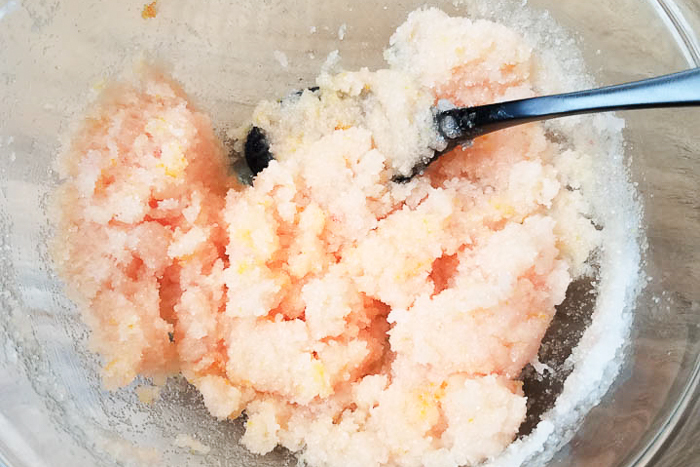 Scoop about a tablespoon onto wet skin when using this recipe. Scrub gently in a circular motion, then rinse off. Follow with a moisturizer if desired. Be sure to use this scrub within a month after you make the recipe, as there are no preservatives. To keep your scrub fresh, use a fresh spoon or wooden craft stick each time you get some out of the container. 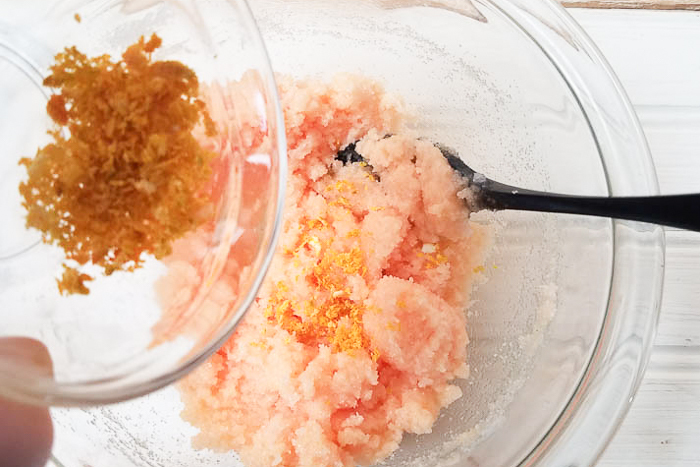 Will you make a batch of orange zest sugar scrub to keep in your bathroom? You are going to love how this one smells and how it makes your skin feel! 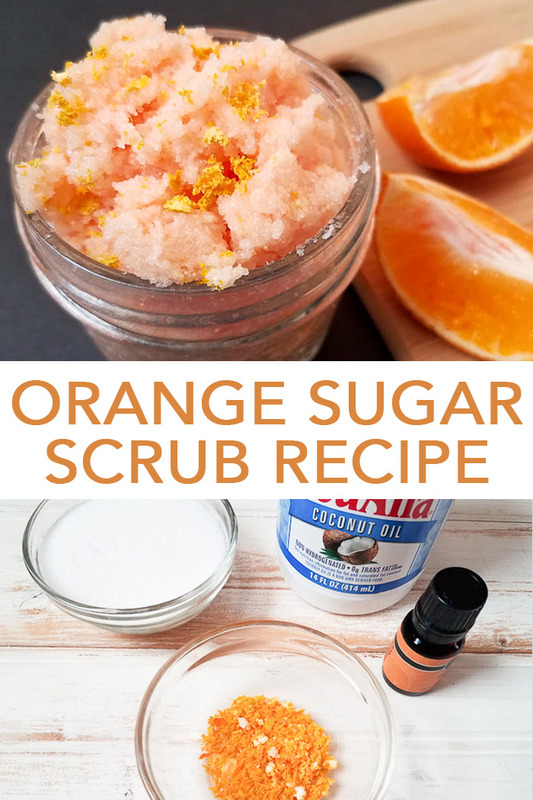 Love this DIY orange sugar scrub and want more ideas? Try the links below! I just love homemade gifts like these and I love the all natural ingredients for this DIY beauty gift. My skin is always dry this time of year when the seasons change so I will make some for me too:) Thanks.